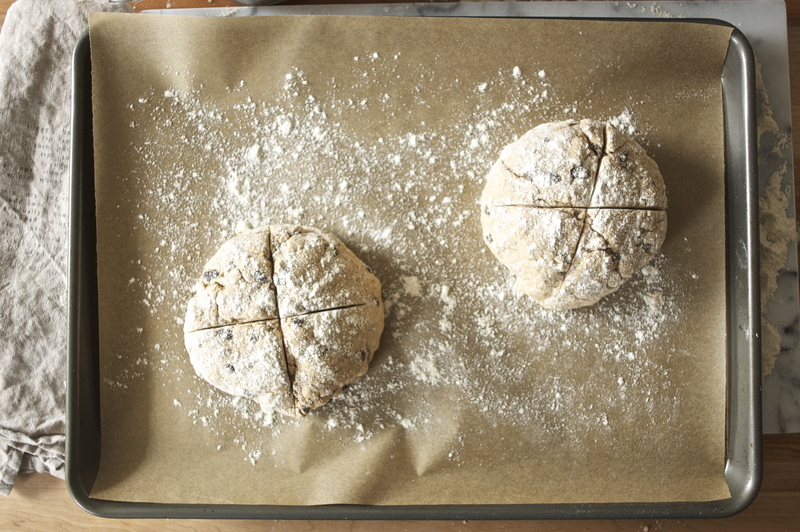 soda bread is easily my favorite baked good. whether it’s fresh out of the oven, a few days old, slathered with butter or jam, or plain, soda bread is one of those foods that speaks to me. i chose to post two irish soda bread recipes – one is grain and gluten free soda bread that is almond-based. the other is a whole wheat recipe that resembles a more traditional st. patty’s day soda bread (i figured i shouldn’t deprive poor frank of some soda bread just because i can’t eat wheat). i was curious as to how the gluten free/grain free soda bread would compare to the wheat soda bread. i have to say its consistency is obviously different, but the taste was spot on! needless to say, i was impressed. 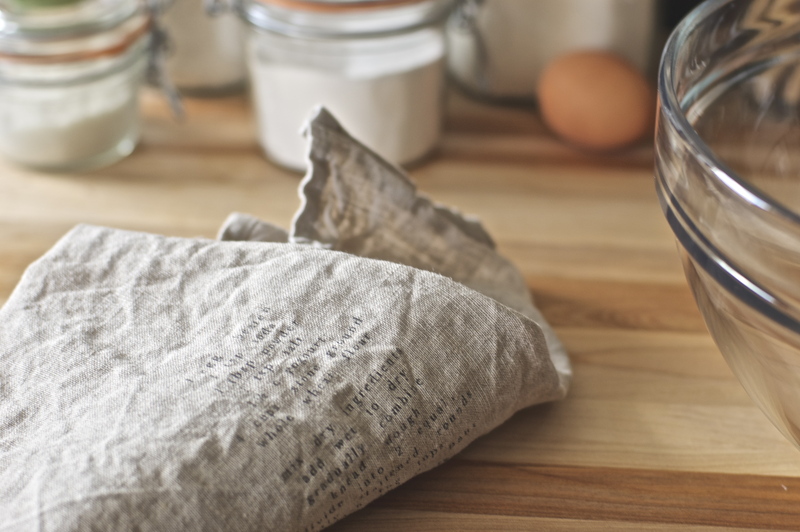 in any event, whichever soda bread recipe you choose you will not be disappointed! the whole wheat soda bread recipe (which is seen above on the dish towel) originally called for 4 cups whole wheat flour. i substituted 2 cups with whole wheat pastry flour just to make it a little softer and not as grain-y. the recipe does not call for any sweetener, i chose not to add any simply because i don’t like my soda bread sweet, plus i figured it’s healthier without the sugar. if you do want to add sugar, i would say 1 tablespoon + 1 1/2 teaspoons should sweeten things up a bit. also, i used yogourt here. alternatively, you can substitute it with buttermilk, or even sour cream. 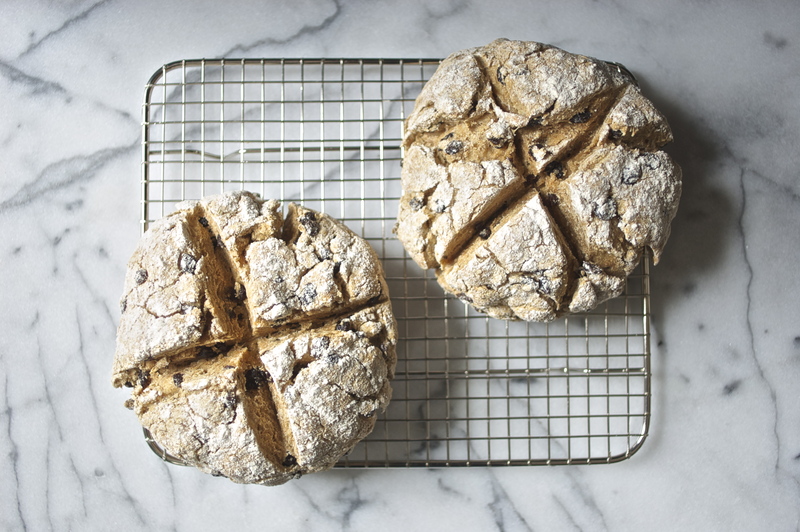 and lastly, because this was a real irish soda bread recipe, it did’t call for currants (apparently that’s an american thing), but i love currants, especially in soda bread! so i added them. enjoy your weekend and/or st. patty’s day!